The senator says he’s skeptical about the president-elect’s stimulus package. Translation: More pork, please! Sen. Mitch McConnell of Kentucky is not a Republican leader; he is a price tag. After his pork-consuming performance during the last year, there is no sincerity whatsoever to his recent carping about Barack Obama's stimulus package—"What I worry about is the haste…"—or to his newly fashioned role as "a good steward of the taxpayer’s money." To hear McConnell fret that the federal deficit has ballooned to $1.19 trillion is to listen to the prattle of a demimondaine who is powdering the nose and negotiating the fee. If this is a pinchpenny conservative, what is a spendthrift liberal? Whatever he’s saying these days, the naked fact is that McConnell is a prince of earmarks who has used his seat on the appropriations and agriculture committees to pour a gargantuan amount of our money into his state. When Obama says he needs 80 Senate votes to pass the $1 trillion stimulus package, McConnell is delighted. The Republican seats in Kentucky are for rent, though dearly. McConnell is the leader of the Southern Republican Hole-in-the-Pocket gang that feeds like the Democrats in the Senate. Last year, McConnell campaigned for his fifth term in the Senate by boasting that he was responsible for $650 million of the $1 billion in federal earmarks lavished on his charming pastureland of a state. McConnell's personal earmark list defies sober analysis. Why do the American taxpayer and the Treasury's ceaseless printing presses provide for such eccentric parochial desires as a $1.39 million animal waste management research laboratory in Bowling Green, or $239,000 worth of Barren County Fiscal Court mobile data terminals and other communications equipment, or a $1.1 million upgrade to Marrowbone Creek in bucolic Pike County? "The biggest issue in this race," McConnell pontificated on the stump two weeks before the election, "is whether or not our small state is going to have a person of significant clout in Washington." This does not clarify how it is prudent for Americans to pay for dung and buses, but it does hint that it was clever of us to finance McConnell's "significant clout." If McConnell were just another bluegrass sharpie trained at the Louisville courthouse to buttonhole the big-city boys, we could ignore him as the cost of doing business with a self-indulgent state. However, McConnell is the leader of the Southern Republican Hole-in-the-Pocket gang that feeds like the Democrats in the Senate. Last year alone McConnell's example of creative earmarks led his fellow Southerners Elizabeth Dole of North Carolina, Thad Cochran of Mississippi, Mel Martinez of Florida, Kay Bailey Hutchison of Texas, John Warner of Virginia, Saxby Chambliss of Georgia, Richard Shelby of Alabama, David Vitter of Louisiana, and Christopher Bond of Missouri to fashion $8 billion in pork. (The only non-Southern Republicans in their league were now-convicted felon Ted Stevens of Alaska and the Methuselahs Chuck Grassley of Iowa and Arlen Specter of Pennsylvania.) To examine the projects purchased by these Southerners collectively is to read through lists of sewers, blacktop routes, and campgrounds that are solely for the convenience of neighborhoods that vote the right way. McConnell’s most recent boondoggle was his conduct during the stock market crash last fall. After Treasury Secretary Hank Paulson let Lehman Brothers lurch into liquidation, the Treasury Department cobbled together a crude deal, the so-called Troubled Assets Relief Program, or TARP, that was clearly impotent flimflam. The Republican electorate polled against it 100 to 1. After the TARP was rejected by the House Republican plebes on September 29, Harry Reid of Nevada and Chris Dodd of Connecticut engineered the Senate gambit, reversing tradition on a revenue bill and putting the Senate up for a vote before the House revote. This fooled no one except those like McConnell, who wanted to be fooled for pork in the pocket. He took the lead to shop his vote and those of enough of his caucus in exchange for a piece of the $140 billion in additional earmarks passed out by the Bush administration. McConnell went the extra step to the microphone on the night of the vote, October 2, and made a claim so pompous that it matches the legend of cartoonist Al Capp's Sen. Jack S. Phogbound. "This has been the Senate, um, at its finest—in the years that I've been here,” said McConnell. “I can't recall a single time where in this close proximity to an election both sides have resisted the temptation to engage in partisan game-playing, if you will." Swiftly, more than half the TARP and all the pork vanished, to no recognizable change except that McConnell got himself another six years to face-lift more Kentucky waterfronts and game trails. Now that Obama has proposed $1 trillion worth of stimulation to add to the Himalaya of the deficit, McConnell has dressed himself as a prudish sentry and warned against spending on "mob museums and water slides." The Democrats know their man and know that the Southern Regional Party in the Senate, aka the GOP, is not exactly hard to get. "We would like to offer our ideas," said McConnell coyly about the stimulus package. "And finally I think to the extent that it passes with a very large vote, it will have more credibility with the American people. And the way it's likely to pass with a very large vote is to have significant Republican participation." Parsing this McConnell-speak, the puzzle for the Obama White House is to figure how many zeroes there are this time in the word "significant," because it is a lot more costly than the word "principle." 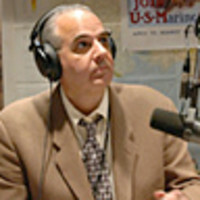 John Batchelor is radio host of the John Batchelor Show in New York, Washington, D.C., San Francisco, and Los Angeles.